Dyson Ball Animal Vs Animal 2 - What are the differences? Home » Dyson Ball Animal Vs Animal 2 – What are the differences? Dyson Ball Animal Vs Animal 2 – What are the differences? Both the model with their ergonomic ball and upright technology are masterpieces yet you won’t generally by both of them because by doing this you may crash your pocket (they are expensive, I must admit). Basically, Dyson Animal 2 is merely an upgraded version with some betterment in the suction power and efficiency of the Dyson ball animal. Thus both of they share the same capital features yet differences prevail between them. Opting for one of them demands a critical Dyson Animal Vs Animal 2 comparison and the rest of the content will assist you. 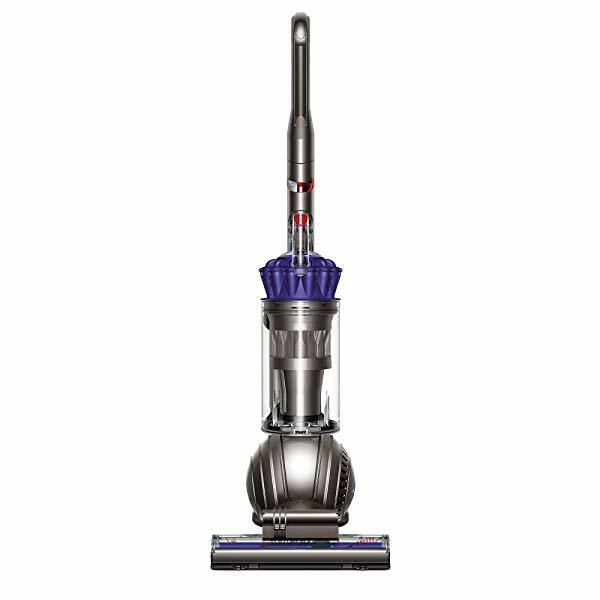 Dyson decided to introduce vacuum cleaners with extreme suction and came up with this model. It is more than a dream catcher for houses with pets as the maneuverability on the carpet is extraordinary. Besides from all the fundamental features that an up to the mark vacuum cleaner should have, it has some high tech features as well. Features as in radial root cyclone technology and self-adjusting head technology can definitely be a treat to your home cleaning mission. This piece is a heavy machine that weighs around 18 pounds yet so flexible to work with just because of the ball and upright technology. Yes, the ball technology, it lets you carry the machine more easily to the tightest places. It makes the machine more stable. Well, Dyson actually presented its customers an extremely powerful machine with the latest technology and the outcome features this model. Whoever has come across with this machine has always reviewed positively. Apart from the heavyweight, this machine will actually be a good pick for you. As the content claims earlier that Dyson ball animal 2 is just an upgraded version of the Dyson ball animal. They share some same basic features but an “UPGRADE” for sure comes with some addition. So does the Dyson animal 2. Dyson has upgraded this model in some crucial features that have made the Dyson animal vs Dyson animal 2 topic worthy enough to be discussed. Let’s jump into the basic introduction of this machine; Dyson ball animal 2 is the most powerful vacuum cleaner that has ever happened to Dyson. The suction power is more than just satisfying. The bin is larger, the machine is quiet while working. Moreover, I must admit the efficiency, it is commendable. It works so well every surface that you will crave for it. Once you use it, you will never feel any hassle because of pet hair, Dyson ball animal 2 can handle it so well. Again the ball technology lets the machine to cover every inch of your house with extreme ease. Well, in Amazon you will find 3 variants of this tool excluding the Dyson ball animal 2. The variants are actually the same in features but according to work efficiency, they are a bit different. All the variants have a different level of work efficiency as they come with different attachments. So, what’s different in these variants? The Dyson Ball Animal 2 Total Clean – Comes with around six additional attachments to ease your cleaning need. The Dyson Ball Animal 2 Pet Grooming Bundle – Comes with pet grooming tool, right out of the box. The Dyson Ball Animal 2 Total Clean Pet Grooming Bundle – Is just a conjunction of the two stated above, relief! what if you wanted both!!! The Dyson Ball Animal 2 Reach Under Tool Bundle – Comes with Dyson Reach Under Tool under tool bundle which basically an accumulation 3 very narrow extension that can be snuck under any appliances. Apart from these – You’ll get three other attachments including tangle-free turbine tool though. Basically, the fundamental features are all the same but the variants are attached to some extra parts that may accelerate the whole cleaning process. But all the attachments are sold separately as well thus any of the models can be bought and be adjusted with the attachments. Dyson has launched both of these models focusing on the suction power; the suction power of these models are never seen in any other models. But Dyson anyhow put more power in the upgraded model. 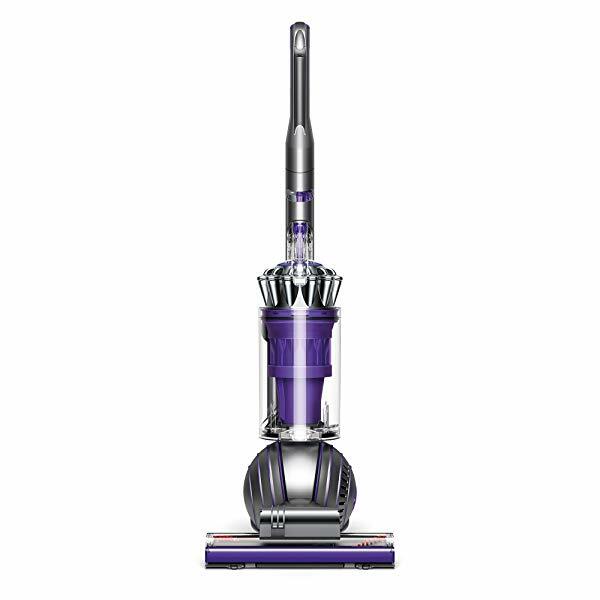 The Dyson ball animal comes with the 270AW power which is one of the best and efficient enough to clean very well. On the contrary Dyson ball animal, 2 comes with a suction power of 306AW and this is the strongest suction power ever. While cleaning you can literally feel the power of this machine. Both the products have expertise cleaning ability along with the latest features of cleaning. Dyson has infused these models with Radial Root Cyclone technology; this technology grabs even the microscopic dust. Again the self-adjusting head and Tangle-free turbine brush are especially effective on cleaning pet hair. Again the instant wand release lets you clean the ceiling as well. Both the models ensure these features but when it comes to cleaning capabilities on different surfaces, there are differences. The Dyson Ball Animal works great over carpets. But if we consider hard floor cleaning, efficiency is not up to the mark. The Dyson Ball Animal 2 is engineered with extra power and is effective on every floor type. It can clean tile, vinyl, carpets, and wood floors as well. No matter it is mud or pet hair, it can clean it all in every surface. Well, this is one of the most important features I guess. A vacuum cleaner with large bin capacity is nothing but a blessing to our house cleaning operation. Both the models have amazing features of cleaning the bin with one push. The vacuum cleaner comes with a switch thus you just have to push the switch and the bin will be empty; no need for any manual cleaning. The Dyson Ball Animal has a larger bin capacity of 2L and the Dyson Ball Animal 2 has a relatively smaller bin capacity of 1.8L. Though the bin capacity of Ball Animal 2 is smaller than Ball Animal but in general 1.8L is quite good as a bin capacity. Now, let’s check what change is brought regarding the price of both vacuum cleaner. Definitely the Dyson Animal 2 costs more than the Animal version, but how much? check below. This technology is much needed in houses where allergic people reside. While dusting, released particles can literally attack asthma patients or even allergic people. Thus this very technology prevents allergens and ensures healthy cleaning. It is officially allergy and asthma friendly. Both the models have HEPA Filtrations Feature. Being lightweight is very necessary as heavyweight machines are not comfortable to work with. The Dyson ball animal weighs 18 pounds and the Dyson Ball Animal 2 weighs 17 pounds. The Ball Animal 2 is lighter and easy work with. This is an important feature as making noise while working is in no sense applicable and appreciated. Apart from all the health issues that excess noise invites, loud noise also affects nature. Thus Dyson has created these quiet models. The Dyson Ball Animal produces 86db sound and it is not so loud. And the Dyson Ball Animal 2 produces an 80db sound that makes it the quietest machine. Well, both the models have quite the same features and both of them are worth trying. But the selection obviously depends on your demands and required features. As in, if you need a machine just to clean your carpet or a larger bin capacity is your first priority, you may choose the Dyson Ball Animal. But people who want the strongest suction power and multi-surface cleaning, they must go for Dyson Ball Anima 2. Again if you need a quiet model that will not let your children awake while cleaning, you may get this model. 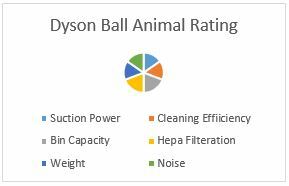 The average rating of Dyson Ball Animal is 4.3/5 on the contrary Dyson Ball Animal 2 acquired the average rating 4.9/5. Though Dyson ball animal 2 is an upgraded version of the ball animal model it managed to secure good average ratings in features. Thus the Dyson Ball Animal 2 is the winner. Pavithra is an enthusiastic 24-year-old Blogger. She is a housewife and used different types of vacuums to make her home clean. Read more about her. Best Vacuum For Shag Carpet – What Has Changed In 2019? Roomba 650 vs 770 – Does the 770 Deserve Extra Bucks? Sweepovac Reviews: What’s All The Fuss About The Best Kitchen Vacuum Cleaner? MIELE C1 vs C2 vs C3 – What’s The Difference? VacFAQs.com is a participant in the Amazon Services LLC Associates Program, an affiliate advertising program designed to provide a means for sites to earn advertising fees by advertising and linking to Amazon.com. COPYRIGHT © 2019 · VacFAQs.com, ALL RIGHTS RESERVED.